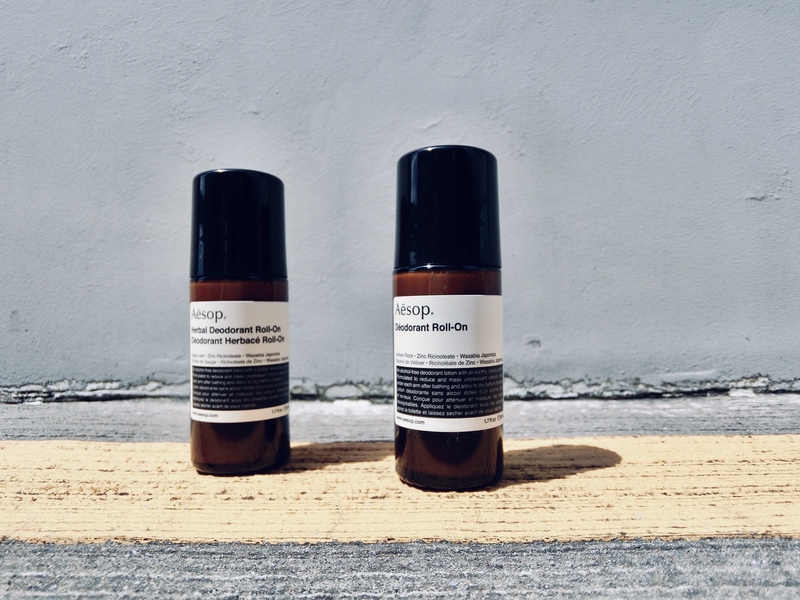 The new deodorants from Aesop are a dream to use. Feels cool on the skin and lightweight, these roll-ons have an earthy, woody scent. Way different than the medicinal-smelling or cheap perfume versions. Aesop’s are most suited for those who prefer a light, masculine fragrance to keep odours at bay. The regular one with vetiver, zinc ricinoleate, lavender oil, clover flower oil, eucalyptus oil, tea tree leaf oil, coriander seed oil, thyme oil, ginger root extract, wasabi japonica, and lactic acid. The herbal version contains sage leaf, rosemary leaf oil, orange flower oil, eucalyptus oil, ginger root extract, lactic acid, zinc ricinoleate, and wasabi japonica.